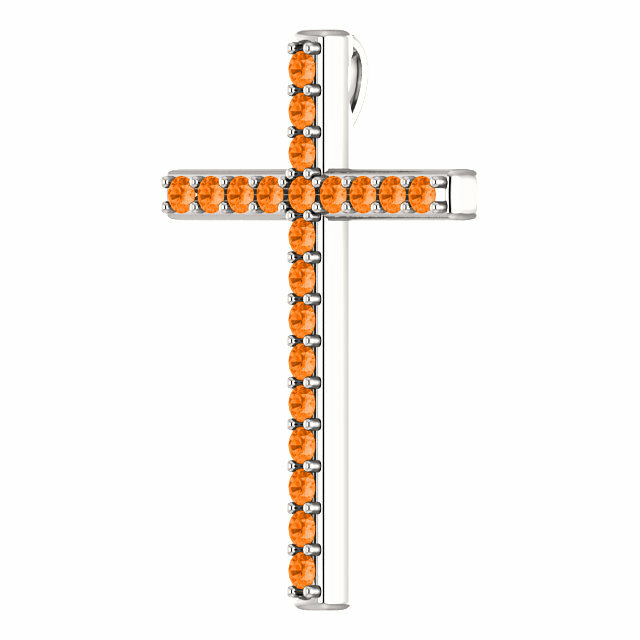 This orange topaz cross pendant in white gold is a truly unique piece of Christian jewelry from Apples of Gold Jewelry. The beautiful color is sweet like myrrh, described in the Bible by in the Song of Solomon by the king: "His cheeks are as a bed of spices, as sweet flowers: his lips like lilies, dropping sweet smelling myrrh" (5:13). The cross pendant is set with 21 high-quality 2mm Swarovski-brand orange topaz gemstones and is available in your choice of 10k, 14k, or 18k white gold or platinum (please allow for an additional 1 week for platinum). The cross features a hidden hoop/bale behind the pendant which is out of sight when worn. 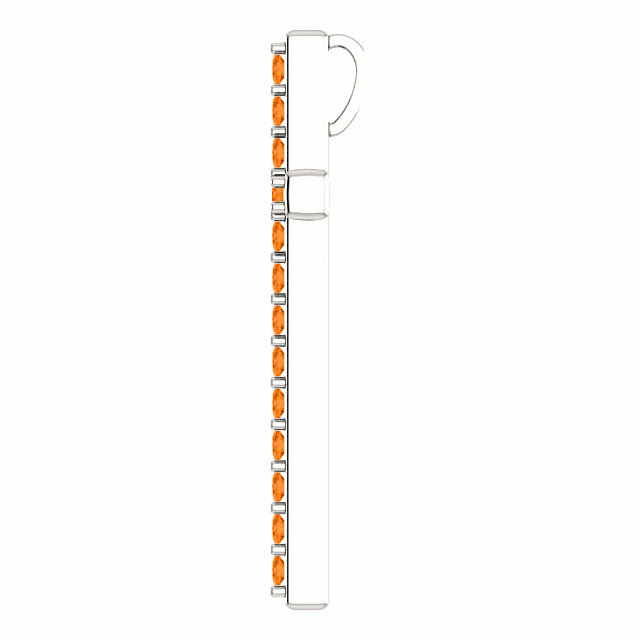 Add a matching white gold cable-chain in either 18" or 20" or you can choose to wear the pendant with a necklace of your own. This cross is also available in yellow gold or sterling silver, shown below. 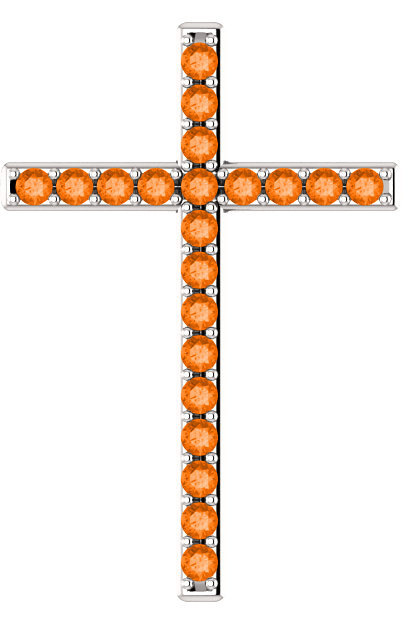 We guarantee our Sweet Myrrh Orange Topaz Cross Pendant in White Gold to be high quality, authentic jewelry, as described above.